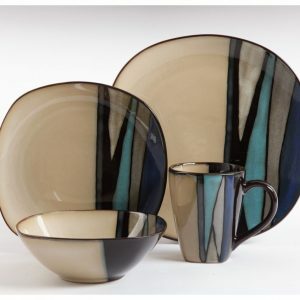 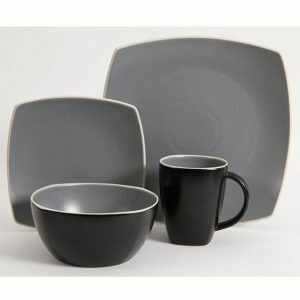 The SoHo Lounge Matte Taupe Dinnerware Set is a rich contrasting pattern featuring matte taupe on black in a soft square design. 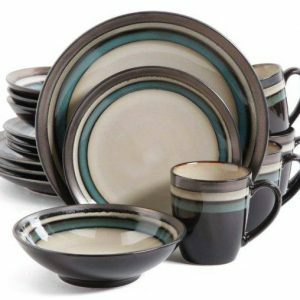 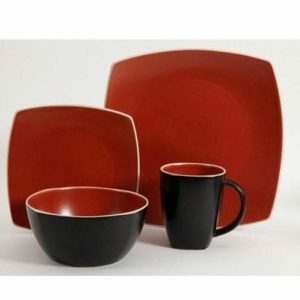 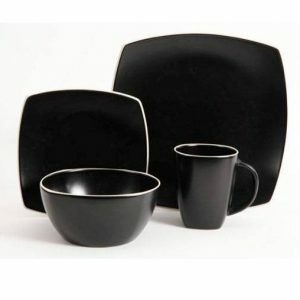 The Gibson 16-piece dinnerware set is a full service for four and includes: dinner plates, salad plates, soup bowls and mugs. 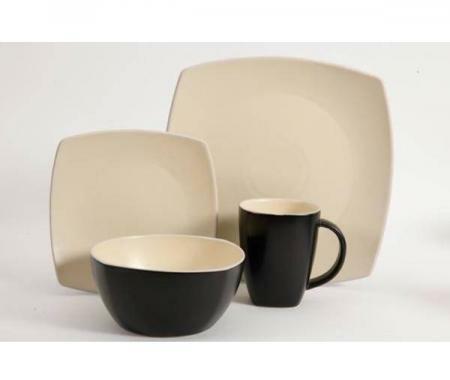 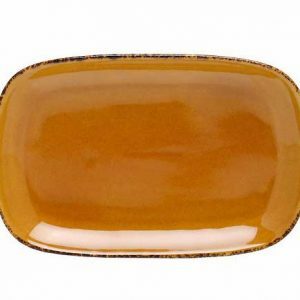 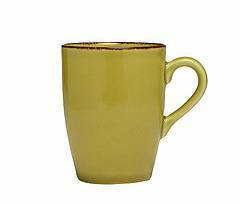 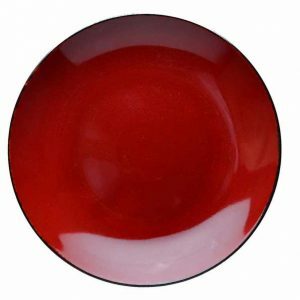 The Buying Guide has useful information on what to expect from stoneware dishes, product care and how dinnerware is sold. 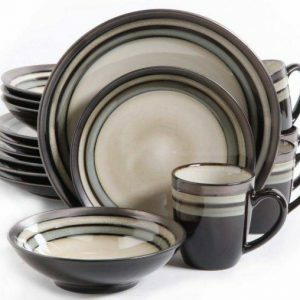 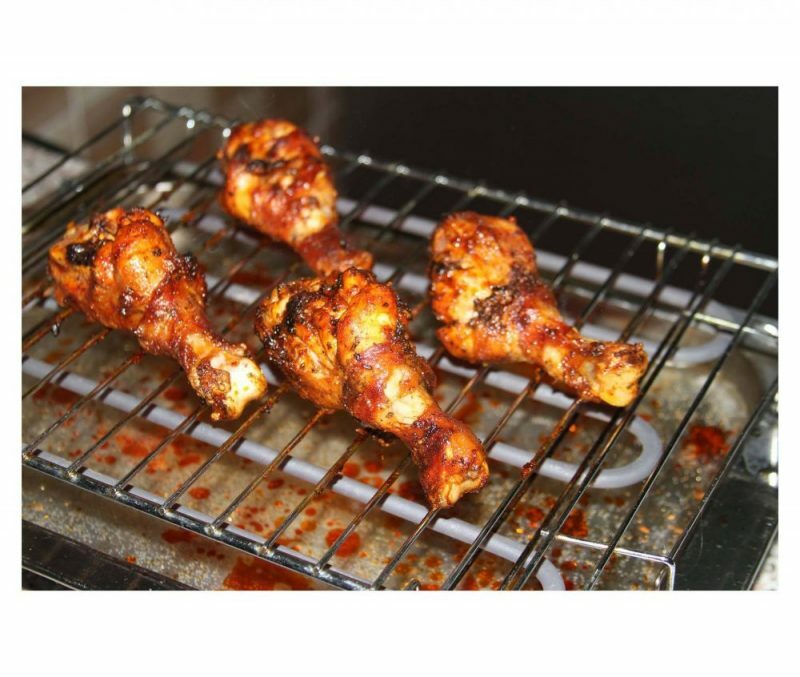 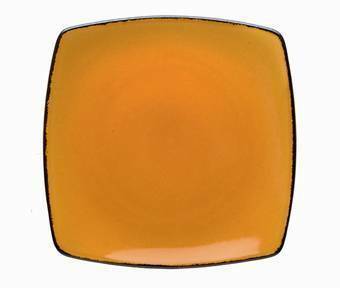 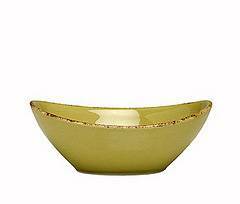 Our recipe blog has some great family tested recipes to go with your new dinnerware set.